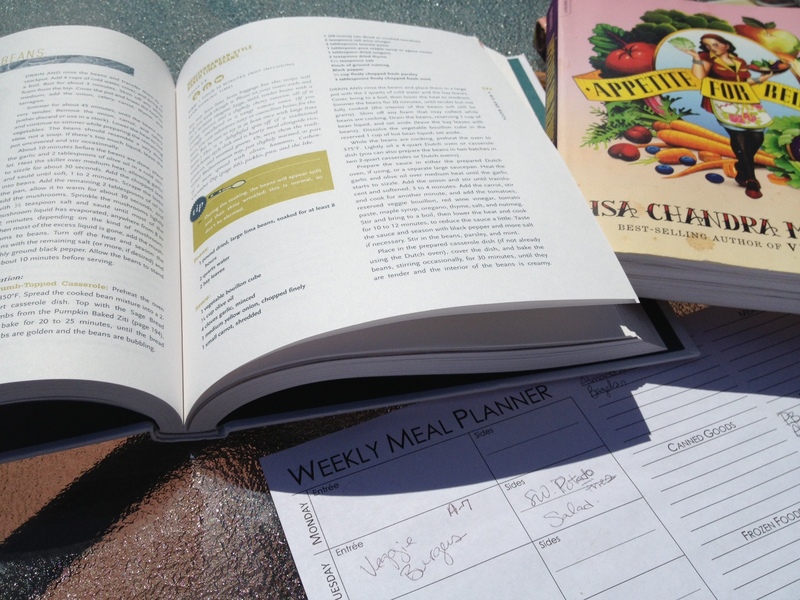 Try Vegan: Day 1, Meal Planning | This RD Eats! And so it begins! Today is Day 1 of my Try Vegan challenge to go vegan for 5 days. I will be blogging throughout the week as well as chronicling my week via twitter. 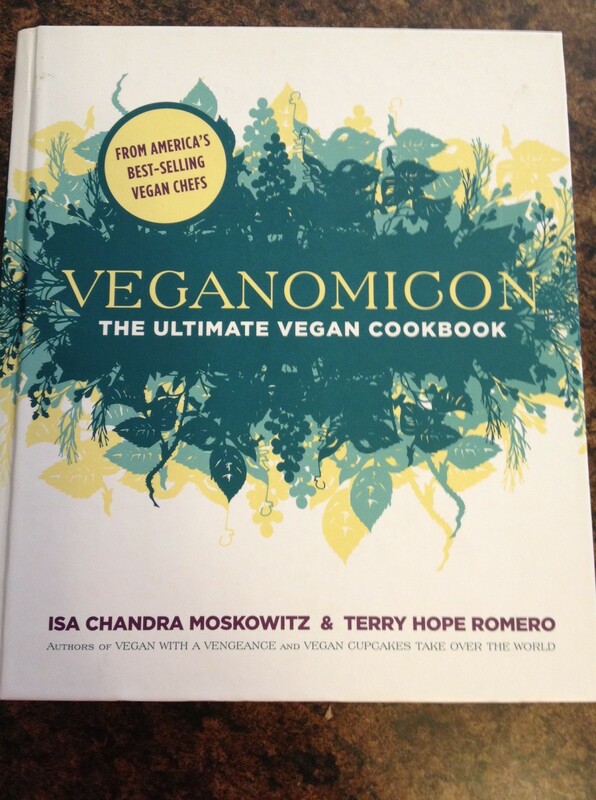 Some come and follow me as I sort through this vegan thing. I spent the afternoon of my Mother’s day scouring through recipes and cookbooks trying to find the best recipes. I wanted variety and also to try products that I am unfamiliar with and don’t use often (or at all). A couple new products we will be having include tofu and tempeh and I will also be using miso. All of which I am excited to use and have my family try. My recipes for the week come from three places (well, four if you count my own Supreme Veggie Burger recipe). 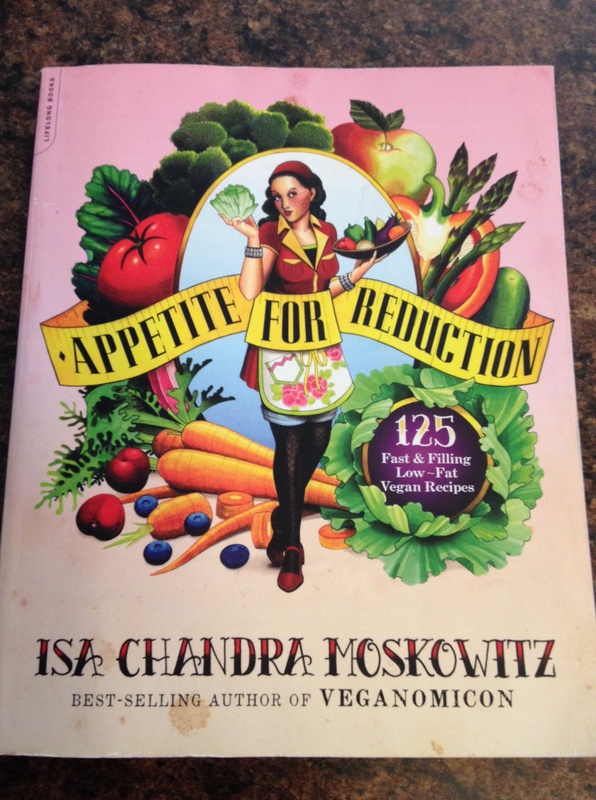 I used Veganomicon and Appetite for Reduction by Isa Chandra Moskowitz as well as one recipe from http://www.AllRecipes.com. I will be going grocery shopping tonight after work to get the majority of my food needs. I have been asked if I expect my grocery bill to go up for the week, and I don’t really think it will. I guess there’s only one way to find out…. So, what is on the menu this week? *Note, I pre-made these burgers using flax meal as the egg replacement and have them in my freezer. I work late on Tuesday night and needed a meal that my husband could prepare while taking care of my wonderful, energetic children. Saturday and Sunday we will be heading down to Iowa to celebrate a nephew’s high school graduation, so there’s no telling what we will be eating. But then again, it doesn’t really matter since my challenge ends on Friday. This entry was posted in Meal Planning and tagged Best Vegan Recipes, Going Vegan, Try Vegan, Vegan, Vegan 101, Vegan for a Week, Vegan Recipes. Bookmark the permalink. Pingback: What Does a Dietitian Really Eat? | This RD Eats! Pingback: Try Vegan: PBJ Saves the Day! | This RD Eats!